Second time working with Kristin and a wonderful experience once again. There is a reason she is a five star professional. 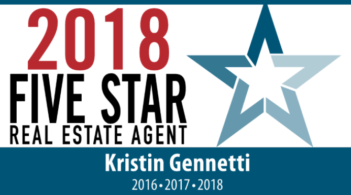 Kristin brings knowledge, experience, skill and professionalism to the table, she knows the ins and outs of home buying, selling and staging. I couldn’t recommend her enough for anyone looking for some peace of mind during the process, Kristin should be your only choice!